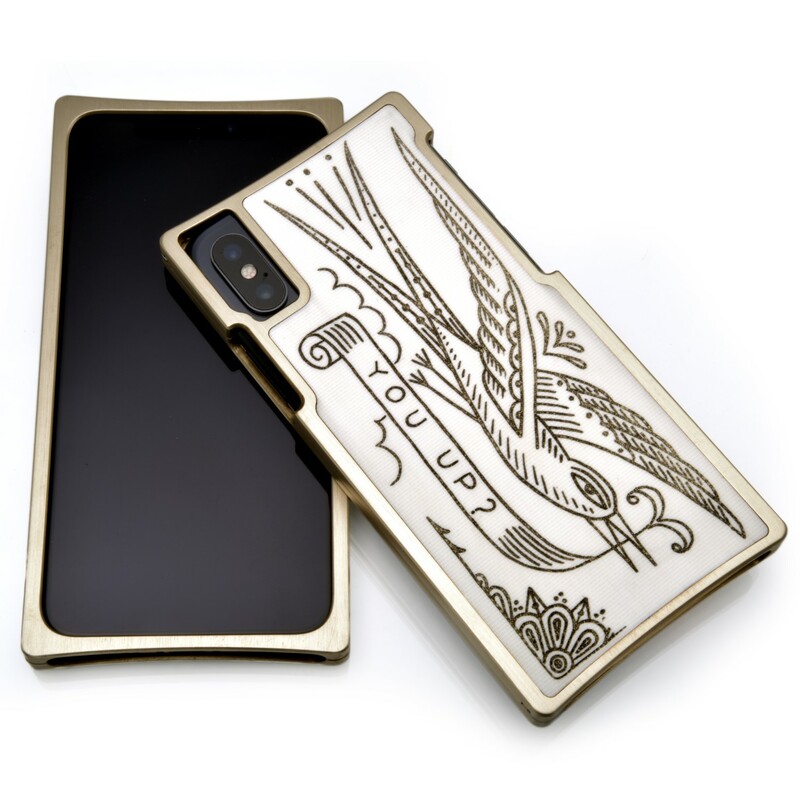 A powerhouse collaboration between EXOvault's lead designer, artist Jonathan Schipper and his friend, the Artist Duke Riley, we are proud to present a limited edition of Duke Riley Cases with three of the Riley's original drawings in our Inlay style. Will will be only making 100 of these. Each will be hand numbered and signed by the artist. 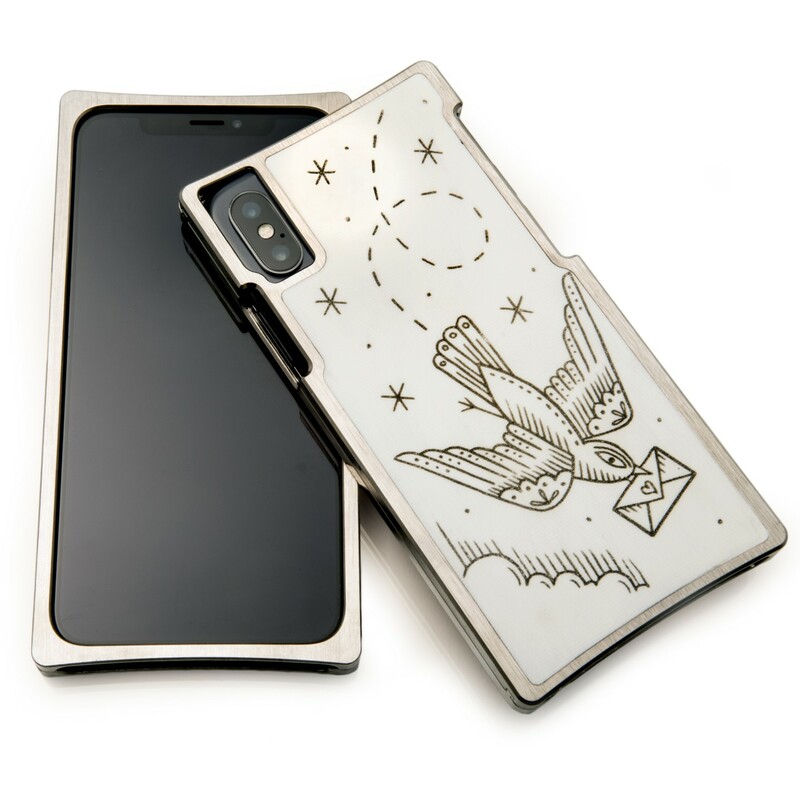 They are available for the iPhone X, XS and XS Max. They are $600 each with $300 going directly to the artist. 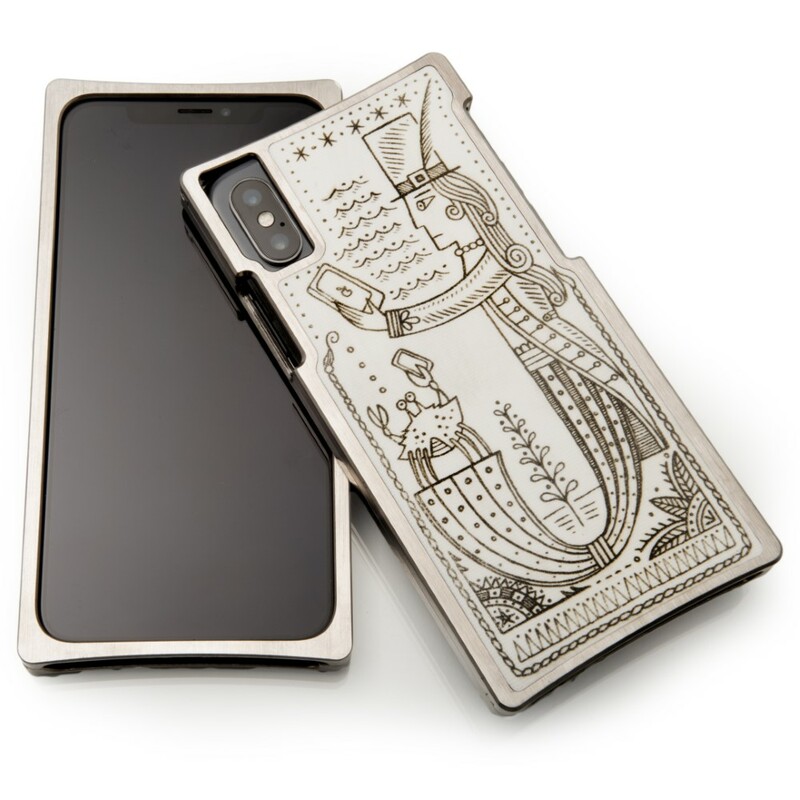 You may pick a Brass or Nickel case.